You might think I'd never had a child, or two go to Kindergarten. You might also think I'd never, you know, taught other people's children for nearly a decade. However, standing on the cusp (oh, alright, 6 months) of Kindergarten, I am at a standstill when it comes to deciding on curriculum for the upcoming school year. I know there is an excellent combination of public school, private/Catholic school, and homeschool teachers who occasionally stop by here. What have you used that you liked? That you didn't like? Please help! Otherwise, I might just cry on my first day of Kindergarten. I am such a purist on these things. There was once a dearth of useful materials, and people made their own. I believe in lots of books to be read to the child, books the child can read as phonics skills are introduced, a good batch of Playdough, different papers, all colors of crayons, and lots of large and small motor activities. I am old school, having home educated back in the days when the modem ran a screaming 300 bps, I don't like to use curricula unless necessary. I like Starfall.com and Teach Your Child To Read In 100 Easy Lessons. I prefer D'Nealian over Zaner-Bloser, and have never tried Handwriting Without Tears (although it looks like something I'd use). I don't need a penmanship book to come up with things to write. I am a huge fan of the Tri-write pencil, being left-handed (I've used them myself for years). I like to use a lot of tactile tools in math for little kids. I like things to count such as real pennies, felt boards, a number line big enough for a stuffed kangaroo to jump, etc. Little kids love holy cards and stickers. We made a Word template to make our own holy cards. Have you checked into Catholic Heritage Curriculum? It has a gentle approach to school that suits our family. I use Sonlight for my older children. For my kindergarteners, I use Teach Your Child to Read in 100 Easy Lessons and Five in a Row. Ruth Beechick's mini-book on math is a great resource for simple math activities. My son Thomas is in kindergarten this year, and we've used Our Heavenly Father (Faith and Life series), Teach Your Child to Read in 100 Easy Lessons, The Writing Road to Reading (for spelling), MCP Phonics A, Saxon 1, Latin/Greek flashcards, tons of early reader books and poetry, and lots of time outside! I really prefer D'Nealian as well and have taught it professionally as well as at home. I just need to locate an age appropriate book to begin with. If you've used Teach Your Child to Read in 100 Easy Lessons, did you like it? I'm thinking that might be a nice brief, "instructional" component to an otherwise more literature driven "curriculum". I'd much rather put meaningful literature in their hands than focus only on short vowel sounds. As for Math, I want to do something that offers lots of opportunity for hands-on experiences. How did you like Saxon for that, Ouiz? Michelle, I just re-requested a CHC catalog. They have several things that I've seen and liked. Thanks for all of your comments! Keep the conversation going, please! I'd love to hear more! I love using 100 Easy Lessons. It gets my kids reading quickly, and teaches them the most common consonant/vowel sounds. Around lesson 50 or so, I start teaching them the phonograms from TWRTR, so they learn that words like WAS, for example, aren't "rule breakers" at all... it's simply the 3rd sound of A with the 2nd sound of S.
I'd love to hear how all of you find the time to cuddle with your kindergartener and do all the fun reading, when you are teaching your older kids! This is one of my biggest challenges -- I'm so busy trying to teach my 5th, 4th, 3rd, and 1st grader (and dealing with my 3 yr old and 1 yr old) that I miss all those "cuddle on the couch with a good book" moments. 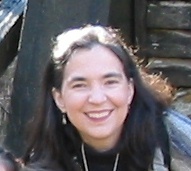 The forums were created by Elizabeth Foss who wrote Real Learning. There are tons of ladies on there who are homeschooling all ages (including Kindergarten. I have found them to be a wonderful resource as we begin to explore homeschooling our almost 4yo son. You should definitely check it our itf you haven't already. I am sure you "know" many of the moms who post on there. Sorry I never got time to visit earlier and add my comment. We use Seton, from K to 8. I have now taught all those grades at least once, using Seton. I like the Seton approach to kindergarten, but it may be too laid back for some folks, especially since you've had kids in school. Seton does not push independent reading at all in K, although religion and science and social studies are part of the curriculum (which is not necessarily true in day school). In fact, through most of first grade, independent reading is not pushed, but phonics is the mainstay of both K and first. I taught first grade before I taught kindergarten (because of our mix of school and homeschooled children) and I knew going into kindergarten that my daughter would not have to be reading when she came out the other side. That was a relief to me because she is not a sit still and be patient kind of kid. Now in first grade, reading is coming, but because she is still not required by Seton to be reading, I am not pushing her any harder than she is ready to be. Maybe that's good, maybe not. Seton always says create the program to fit the child and not the other way around. I think that's what most homeschoolers go for. My favorite part of Seton's curriculum, however, is the Catholocity. Our faith is integrated into every subject. What a great way to learn -- it comes so naturally.